Higher spending for memory and power semiconductors will drive double-digit growth. Restructuring and consolidation has led to a new focus for the semiconductor manufacturers in Japan. As a result, the semiconductor equipment market in Japan will experience double-digit growth in both 2013 and 2014, driven by higher spending for memory production and in spending increases planned for the manufacturing of power semiconductors and “More than Moore” semiconductor technologies. Total equipment spending in Japan is estimated to reach $4.6 billion by 2014. Combining this with the $8 billion-plus spending on semiconductor materials, Japan represents a $12 billion market in 2014 for the suppliers of equipment and materials. Leading the investment activity in Japan is Flash Alliance, a joint-venture between Toshiba and Sandisk. According to the SEMI World Fab Forecast database, equipment spending for Flash Alliance could approach $2 billion this year and even more in 2014 because of the overall strong market demand for NAND flash in mobile products. 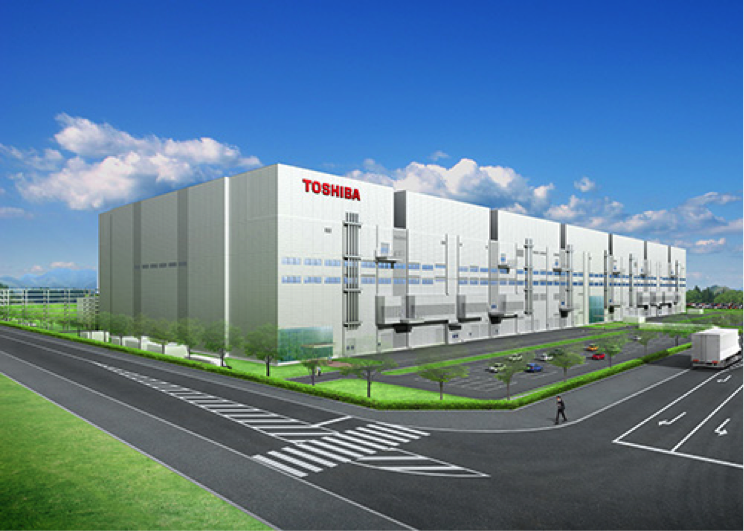 Recently, Toshiba announced plans to spend up to $300 million (30B yen) to construct the Fab 5 phase 2 at the Yokkaichi plant location. This new fab will ramp for production of sub-20 nm/3D flash memories, with building construction completed by 2014 summer. Fuji Electric is investing 3,300 million JPY to build 200mm SiC power device production line at its factory in Matsumoto. This will add 1,500 wafers/month (wpm) front-end capacity and 80,000 wpm back-end capacity when fully ramped. Besides its flash memory investments, Toshiba also is investing in its Himeji Operations for volume production of SiC power semiconductors. Mitsubishi Electric is building a new facility to consolidate power device design and development divisions by March 2014 at its Power Device Works in Fukuoka. For future capacity expansion, the company has previously acquired a 200mm facility from Renesas Electronics. Panasonic also is investing in power semiconductor manufacturing and will continue to ramp volume production of GaN power devices at its Hokuriku Factory in Uozu. Panasonic plans for the power semiconductor to be a main pillar of its semiconductor business in the coming years. Hitachi has restructured its power semiconductor business and will transfer its design, manufacturing, and other operations of its power semiconductor business to Hitachi Power Semiconductor Devices (formerly named Hitachi Haramachi Electronics). Finally, Sony’s semiconductor product structure changed significantly in recent years with a growing portion of its business coming from CMOS image sensor products as the portion proportion of System LSI has proportion lessened. Sony’s investment includes 80 billion JPY from the second half of FY2012 and into the first half of FY2013 to expand its CMOS image sensor capacity at the Nagasaki Technology Center. While the semiconductor industry and device makers have experienced a period of retrenchment and consolidation, new investments for this year and next point to a rebound in equipment spending in Japan. SEMICON Japan 2013 will be held on December 4-6, at the Makuhari Messe, Japan. Find the latest products and innovations from exhibiting companies that enable key technologies for the future including 450mm, EUV, TSV, power devices, and HB-LEDs to name a few. For more information, including exhibition and sponsorship, click here. —Dan Tracy and Yoichiro Ando are SEMI analysts. Dan Tracy is senior director of industry research and statistics at SEMI.